The Jews are a Covenant people. This means that we consider ourselves as individually and collectively bound to the Divine in a contractual relationship of mutual love and respect. The initiation into this Covenant for Jewish children begins shortly after birth, and varies according to the gender of the child. Circumcision, which is the surgical removal of the foreskin, is probably the oldest religious rite in Judaism. According to our belief, it was initiated some 4,000 years ago, upon the instruction of the Divine to Abraham, the first Jew. This is My covenant between Me, and between you and your offspring that you must keep: You must circumcise every male. You shall be circumcised through the flesh of your foreskin. This shall be the mark of the covenant between Me and you. 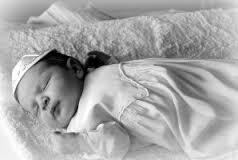 Throughout all generations, every male shall be circumcised when he is eight days old. This procedure, because of its semi-surgical nature, is always performed by a specialist called a mohel. The mohel, who is usually also a Rabbi, is specially trained in both the physical an liturgical aspects of the b’rit milah. While the b’rit is customarily performed in the home, not the Temple, our Temple staff will be happy to help you find a mohel certified by The Union of Reform Jewish Congregations. These mohels are frequently pediatricians or obstetricians. The family also may be inclined to sponsor an oneg Shabbat (literally, “Shabbat delight,” in practice, a delightful time to share snacks and socialize) after the Friday night services on the week of the b’rit. Girls are also brought into our covenant with the Divine when they are babies. Although the preference for a ceremony marking this may vary from family to family, here at the Reform Temple of Forest Hills we accommodate two types of ceremony. One such ceremony may involve blessings by the mother thanking God for a safe delivery, and by the parents thanking God for a healthy child, asking for help in raising the child, and promising to raise her as a Jew. 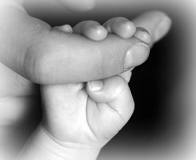 Other family members may wish to give blessings or say something, godparents may be honored with holding the baby, or may give a blessing. The child’s name is announced, with some explanation of who she was named for or what the significance is of the name. The Rabbi will bless the child, using a naming ceremony for girls which has all the same blessings and readings for a girl as for a boy, minus the blessing of milah (circumcision) itself, and then there may be a party. More simply, the child can be brought to the Temple on Shabbat and be named by the Rabbi in front of the ark during services, which is a nice way of making this personal family event a celebration for the community and a chance for the congregation to welcome the newest member into the Jewish people. For 1300 years prior to the destruction of the Second Temple by the Romans in 70 CE, the Jewish people had been organized as a single large body, at least for religious purposes. This congregation was divided into three hereditary functional groups – the Kohanim (priests), who were descended from Aaron, the Levites (Temple assistants), who were descended from Joseph’s older brother Levi, and the Israelites (the congregation). Since the first-born “belonged” to the Divine service, it became customary to redeem the first-born male child of any Israelite mother by paying 5 silver shekels to a Kohan, who would agree to take on the child’s Temple duties. The ceremony was to take place on the thirty-first day of life. After the Temple fell, there was no longer any need for this ceremony, and Reform congregations seldom utilize it. Nevertheless, the ritual can be very gratifying, as the parents are confirming their appreciation that the child is a gift from the Divinity, and that they have taken on the responsibility for providing for it. Seen in this light, it is our feeling that the ceremony is just as valid for girl babies (Pidyon habat) as for boy babies (Pidyon haben), and the Reform Temple of Forest Hills will be glad to accommodate anyone wishing to initiate such observances. There are probably few parents of teenagers who do not appreciate the feelings behind this benediction, and wistfully contemplate that the age of majority has now been extended to eighteen, or even twenty-one. In the Nineteenth Century, European Jews began questioning why the received practices were so discriminatory concerning women. Over the course of time, Reform Judaism has addressed disparities in access to prayer, inequalities in educational opportunities, and the assumption of religious leadership positions. With increased choices, women assumed increased responsibilities, but until the advent of the Bat Mitzvah ceremony in 1922, there was no liturgical event to mark the point at which a girl was considered to have assumed the new responsibilities of Jewish womanhood. The current liturgy used at the Temple is identical to that used for the Bar Mitzvah, and we at the Reform Temple of Forest Hills are proud to have a number of B’not Mitzvah every year. These rites-of-passage rituals have grown to hold such a special place in the cultural and spiritual lives of the Jewish Community that many adults, those who did not have an opportunity to celebrate their Bar or Bat Mitzvahs at the customary age, have chosen to demonstrate an affirmation of their Jewish heritage by going through the process. The comedian Henny Youngman, who had a Bar Mitzvah when he was in his eighties, claimed that the delay was because it took him over 70 years to learn his Haftorah portion. For whatever the reason, the Reform Temple of Forest Hills welcomes adult B’Nei Mitzvah students of all ages to celebrate with us. Over time, the Bar Mitzvah rite of passage grew to include quite elaborate ceremonies and practices, and Bat Mitzvahs, being more recent, have followed this trend. While the basic religious obligations remain both uncomplicated and extremely significant, they do require dedication to specific educational efforts on the part of the child and, to a lesser extent the family. These important religious issues should be discussed with the Rabbi, the Cantor, and the religious education staff. Those desiring to hold the B’nei Mitzvah party in the Temple Ballroom are encouraged to speak with the Executive Director. Holding the party in the Temple ballroom would be particularly appreciated, since it would ease the burden of membership costs and enable capital improvements to our synagogue. Because they require extensive educational preparation and administrative lead-time, these discussions should take place at least two years prior to the planned event. The Educational Leader schedules meetings with B’Nei Mitzvah families during fifth grade. The Confirmation ritual was developed by the Reform Jewish congregations of the various German states in the middle of the 19th Century. It was the feeling at the time that the ancient age of majority (13 for boys, 12 for girls) did not leave sufficient time for all the learning that the children of the newly emancipated Jewish communities would have to do in the suddenly available civil school system, on top of the various religious educations they were already getting. Confirmation, at age 15, was intended to supplement the B’nei Mitzvot ceremonies, to mark the attainment of knowledge, the student’s dedication to continued educational growth, and a personal commitment to Judaism. At the Reform Temple of Forest Hills, Confirmation is conducted as part of the Shavuot service, and the confirmands themselves have an important and active role in the design and presentation of the service. More specific information on Confirmation may be had from the Rabbis, the Cantor, and the Educational Leader. Although it has plenty to say about how Jews should conduct themselves concerning the institution of marriage, the Torah is conspicuously uninstructive on the nature of the wedding ceremony itself. Consequently, we have inherited a system of marriage practices and customs from a three thousand year old tribal/pastoral/agricultural civilization, and modified them to suit our needs. In the old days, marriage was an extension of a system of alliances and obligations between two families, and, given the paternalistic nature of society, many safeguards were built in to make sure everyone got what they bargained for. A couple had to announce their intention to get married a year before the event, in a ceremony called erusin. During this year, the woman had to gather her wedding goods, while her father had to marshal the dowry. The man had to prepare his finances and find a place to live. The erusin was legally binding, and could only be dissolved by judgment of a court. After the year’s preparation, the wedding ceremony itself, the nisu’in, was conducted. Just before the actual ceremony, the grooms was obligated to give the bride a previously agreed-upon prenuptial agreement called a ketubah. In it, the husband promises the bride to provide her with food, clothing, and necessities, and to live with her as a husband according to universal custom. Nowadays, these separate events, engagement, premarital contract, and ceremony, are compressed into a single day, with one exception, the Aufruf. This Yiddish expression denotes that the groom-to-be is honored by being called to the Torah on the Shabbat before the wedding. Upon the conclusion of the reading, the congregation pelts the groom with candy, symbolizing their wishes that the marriage have a sweet future. 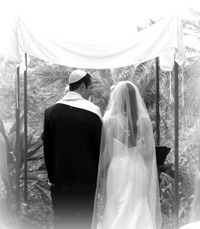 For your wedding ceremony, contact the Rabbi or Cantor to hep with planning and creating a wonderful, meaningful event. Our synagogue is available for weddings including using our beautiful ballroom for a wedding reception. Contact our administrator for details. 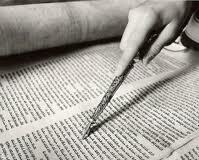 In the course of the long history of Judaism, there have been periods when we actively sought converts. During Greco-Roman times, we find the Gospel author Matthew (Matt. 23:15) complaining that “the Pharisees (the founders of the Rabbinic tradition) will roam land and sea to gain one convert.” Their success was such that in the first century CE, one out of ten Roman citizens was a Jew. With the complete triumph of Christianity in the 5th Century, however, it became illegal, frequently a capital offense, to either convert to Judaism or convert someone to Judaism. Adding to the calamity, this somewhat harsh view was adopted by the spreading Islam some 200 years later. 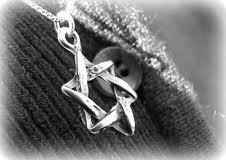 It is thus understandable that during the following 13 centuries conversion to Judaism was not emphasized by the Rabbis. Several publications concerning conversion are set out in the Conversion Resources portion in this Life Cycle Events section. In recognition that this is not a step one takes lightly, we suggest that those wishing to explore conversion make an appointment to speak with the Rabbi for a full understanding of what is involved.